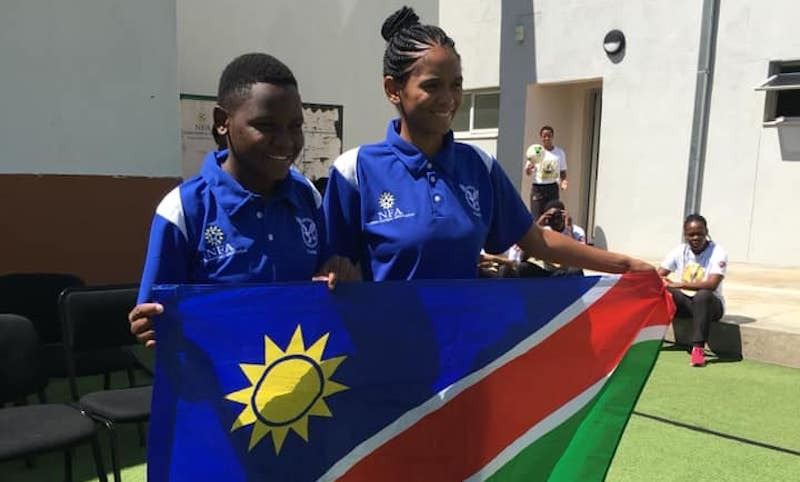 Namibia international striker Beverly Uueziua has signed a one-year contract with Taiwan based team Fu Jen Catholic University. The 19-year-old Brave Gladiators player was overwhelmed with the step in her football career. “This is an incredible opportunity for me and to every girl who thought her dreams are beyond reach and not valid, this shows that hard work, discipline and determination can take you places,” said the excited Beverly. She also sang praise to coach Mervin Mbakera, Jackie Shipanga and the entire management at the Skorpion Zinc Mine. “We as girls, who love and play football, will always be indebted to Jackie Shipanga, she has, and continues to do, wonders for us, the discipline she instils in us and the efforts she puts into making sure we are fully equipped for the adult world is just incredible. “I wouldn’t be gracing the football fields if it wasn’t for coach Mervin Mbakera, who went to go get me at the farm on numerous occasions and believed in me when I didn’t believe in myself. I owe him my football career and this signing is dedicated to him. “Lastly, I just want to say thank-you to Skorpion Zinc Vendetta for allowing us to play ball again, your money and resources got us the exposure we needed and we are truly humbled. Beverly Uueziua will leave for Taiwan on the April 28.